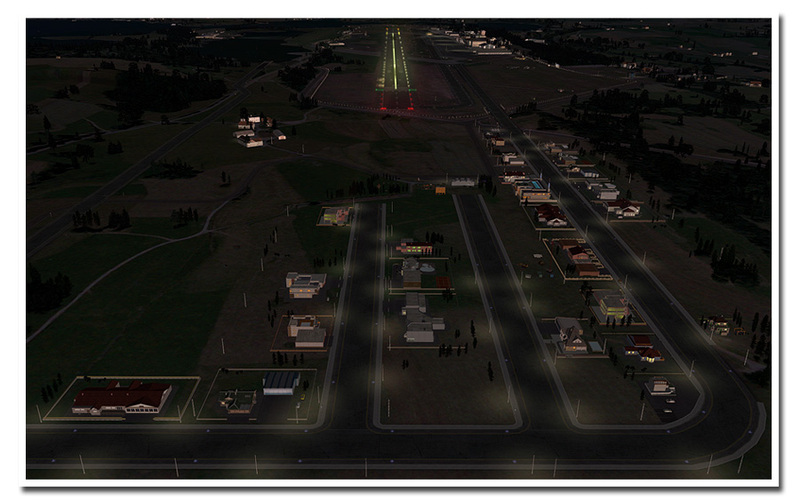 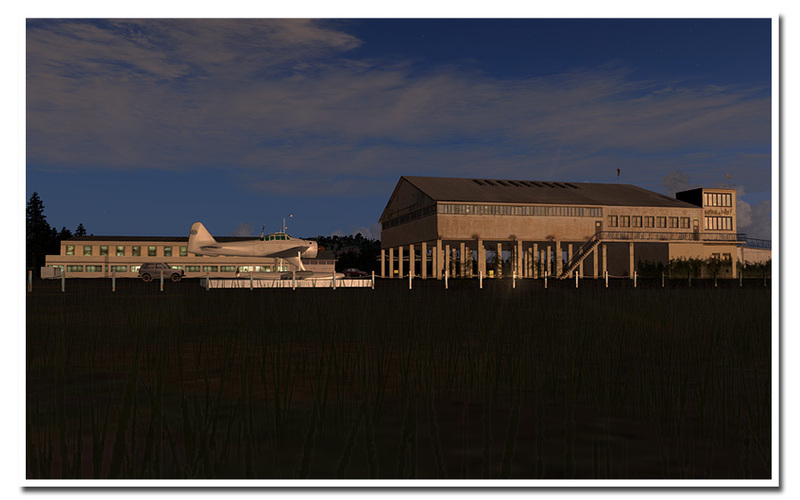 And yes, Andras Field is a fictive airport. 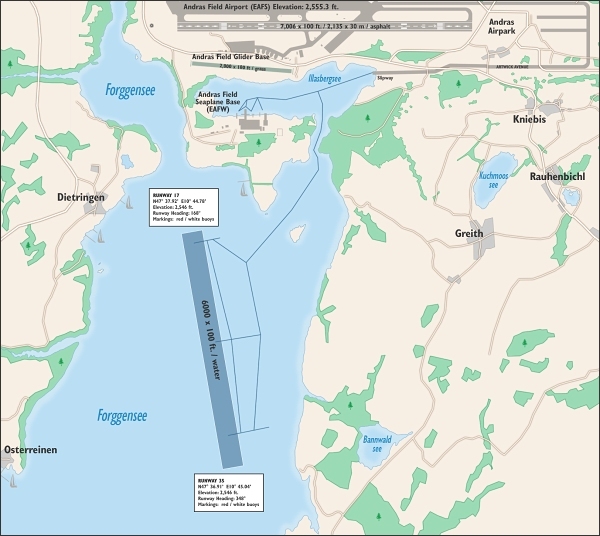 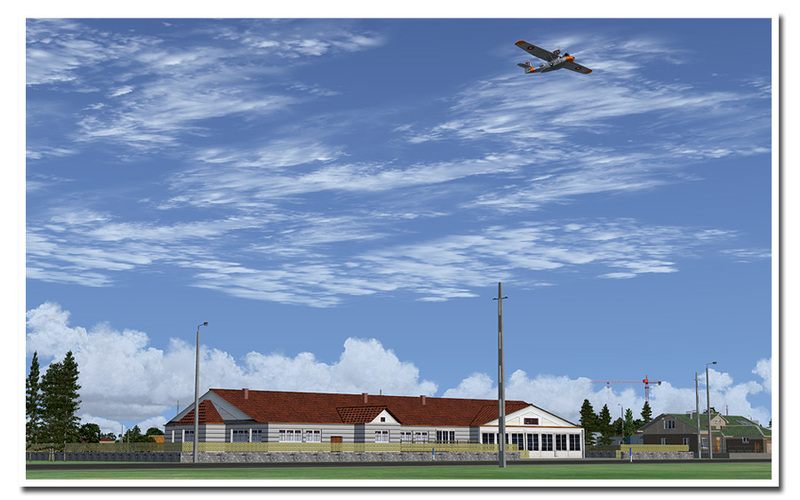 We wanted to create a new idea with new features and there just is no existing airfield that could bring what we needed. 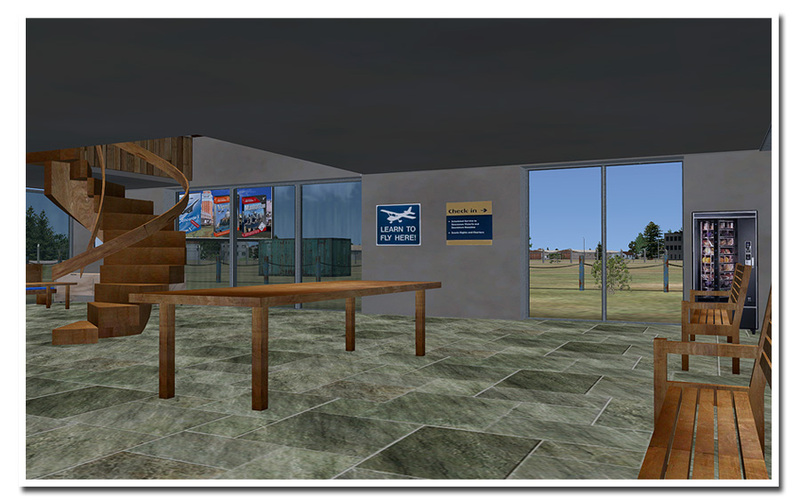 We needed artistic freedom to make this a very special place. 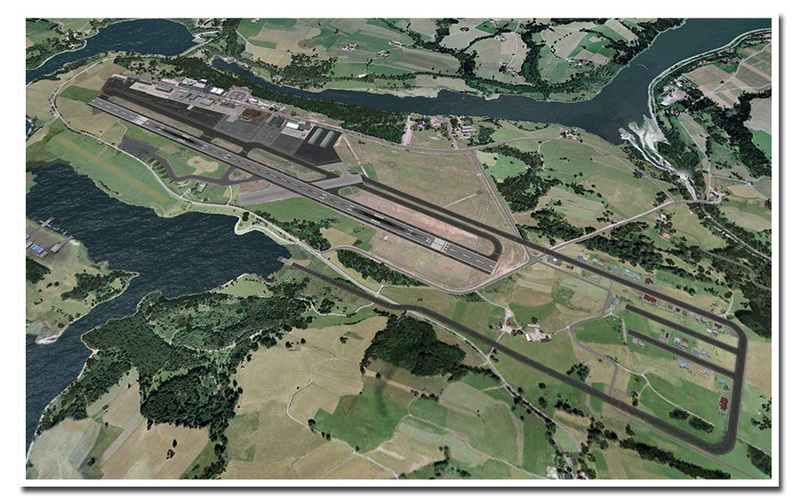 We needed this liberty also so we could let the users create and manage this airport and all that comes with it. 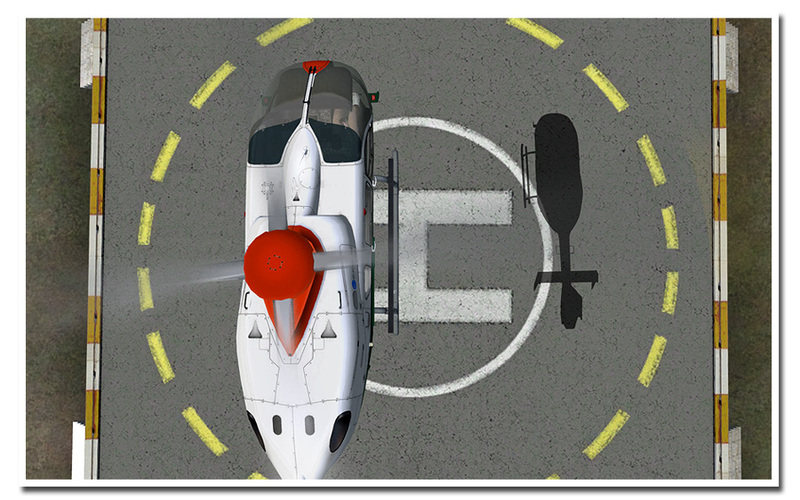 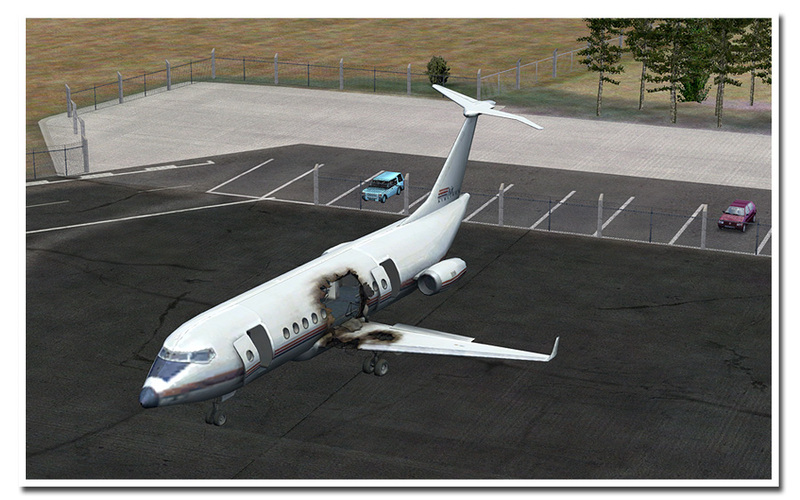 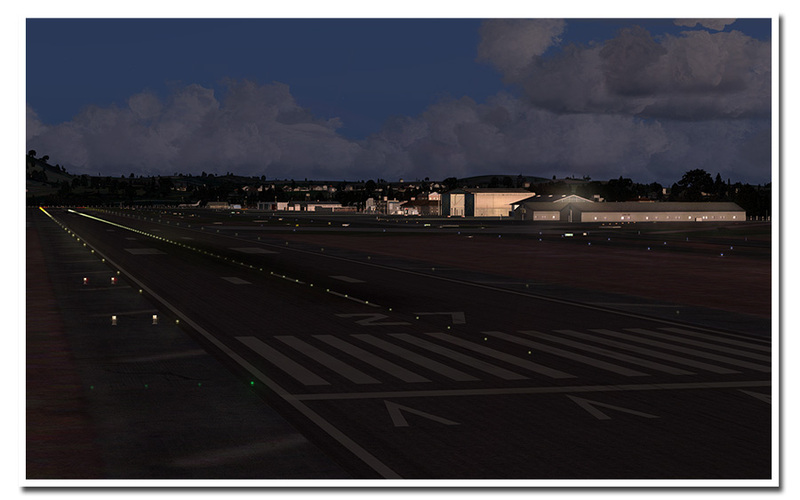 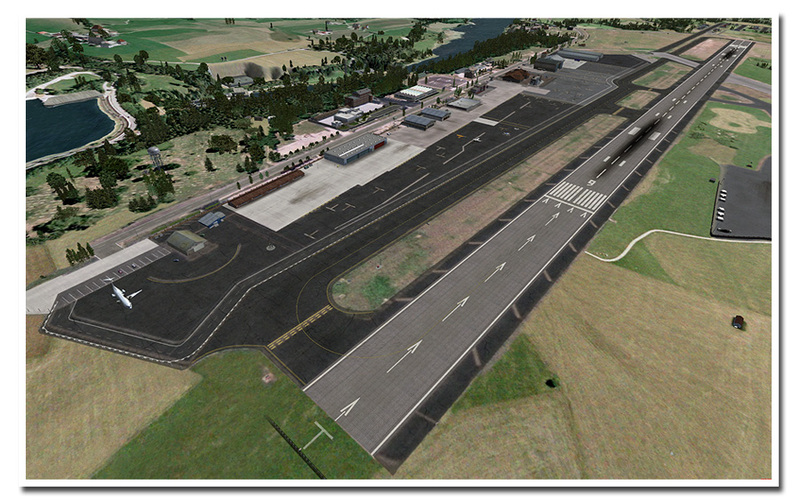 Aerosoft provides the base files and will change it continuously but the users will decide what is changing! 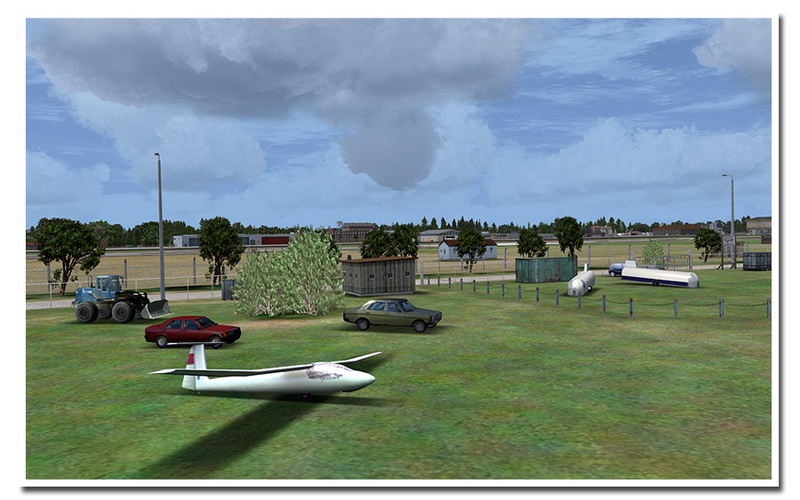 Directly to the east of Andras Field lies Andras Airpark. 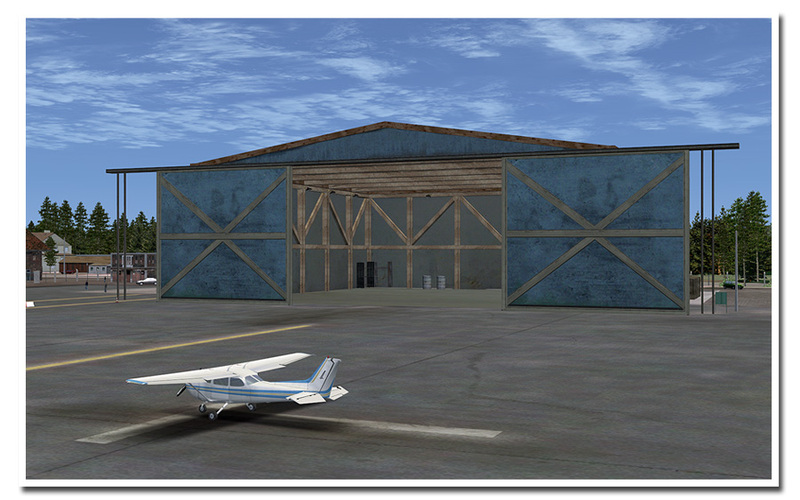 At this airpark, aviation enthusiasts or people who need an small aircraft for travel, can keep their private plane in their private hangar, just as other people keep their car in a garage. 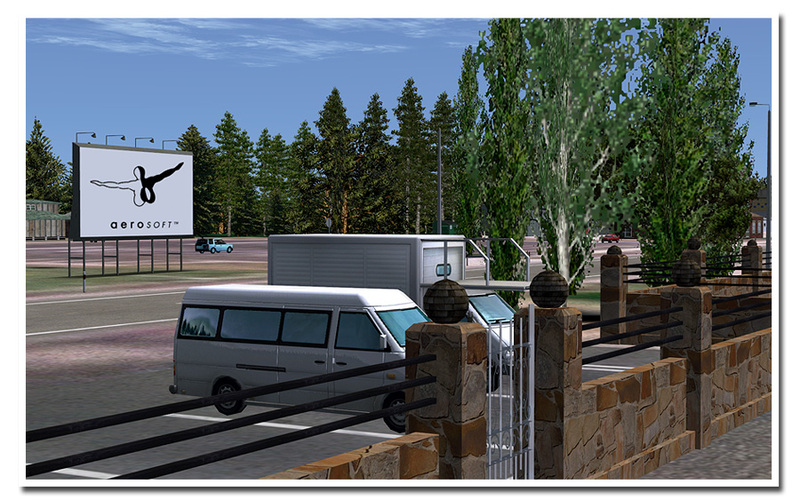 Airparks are relatively rare in Europe but well known in the USA where they seen to do well because it provides a safe (they are always closed, fenced in) communities for people who have some money and who like to be around similar minded people. 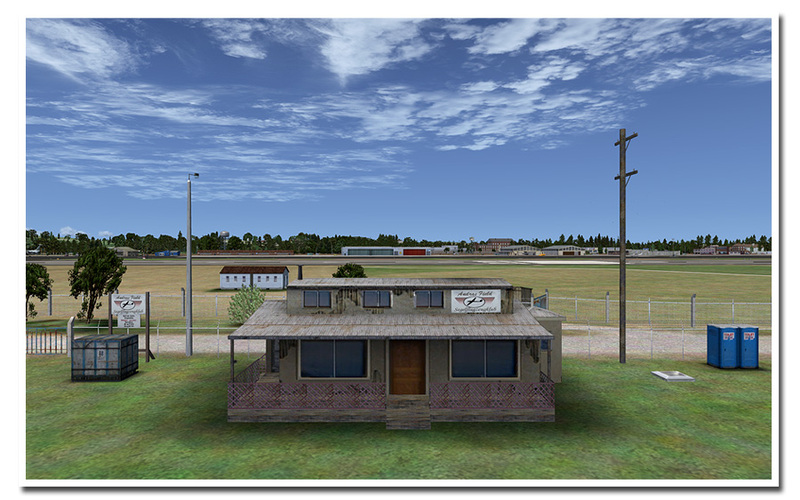 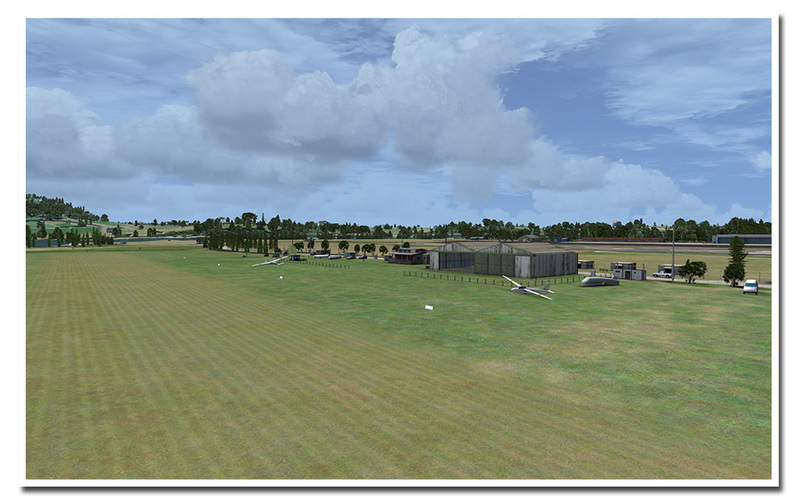 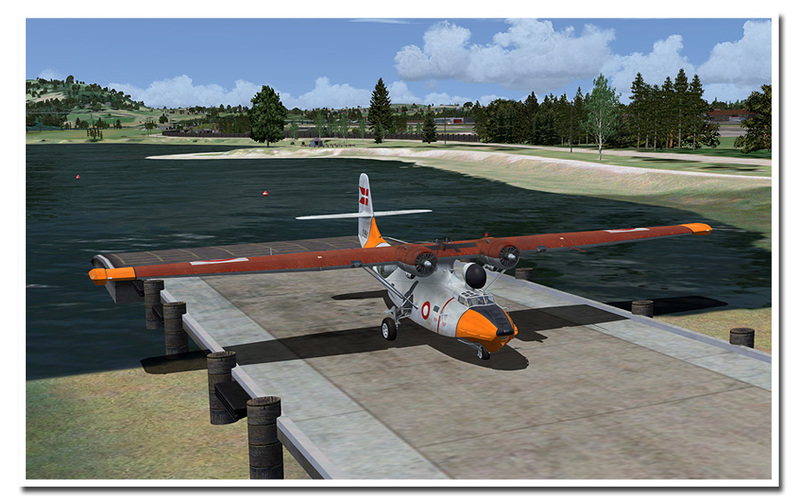 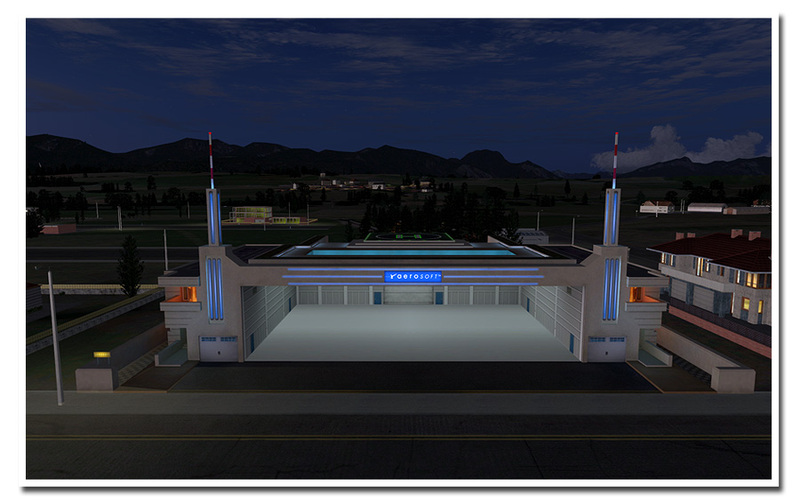 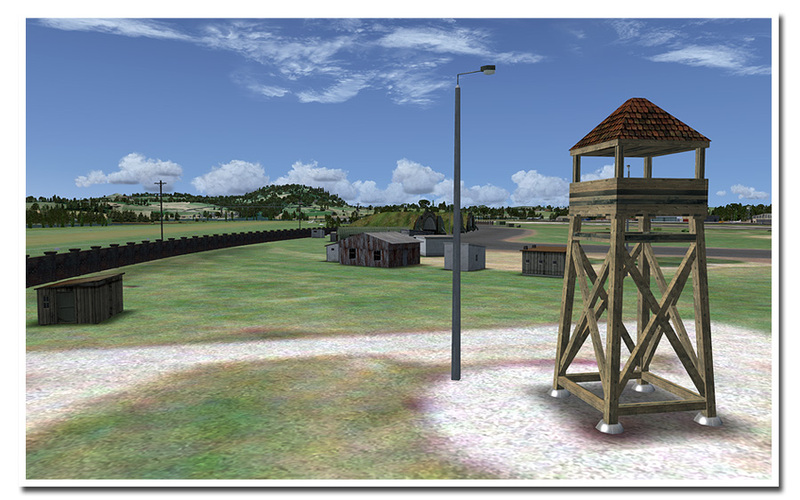 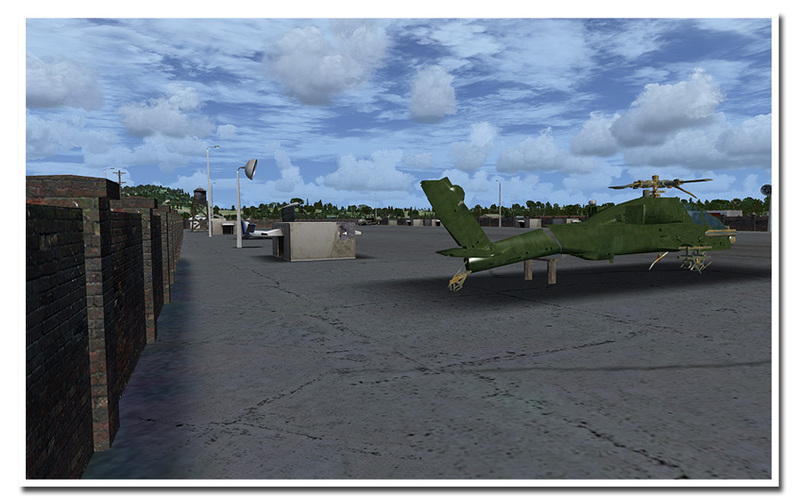 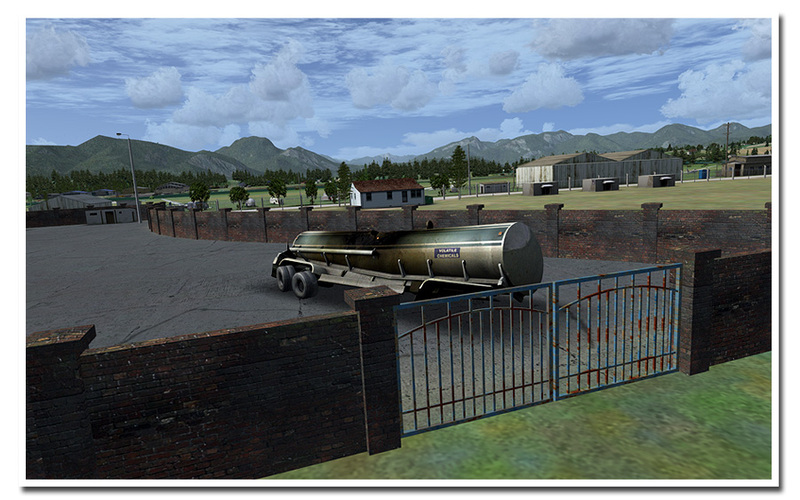 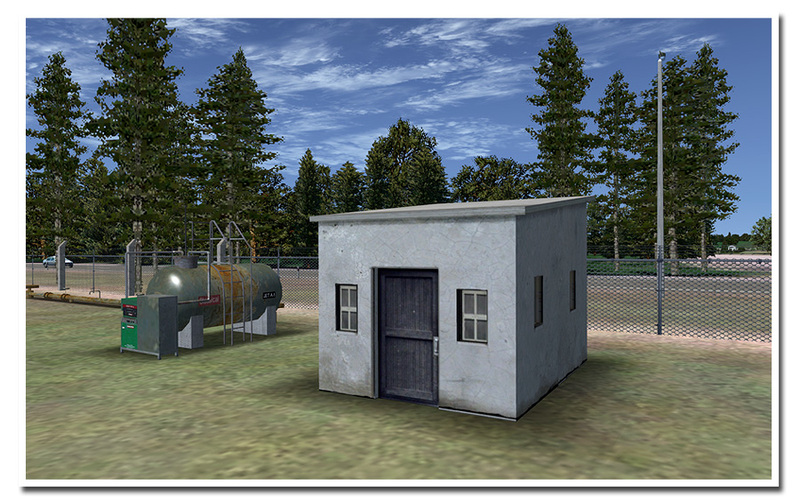 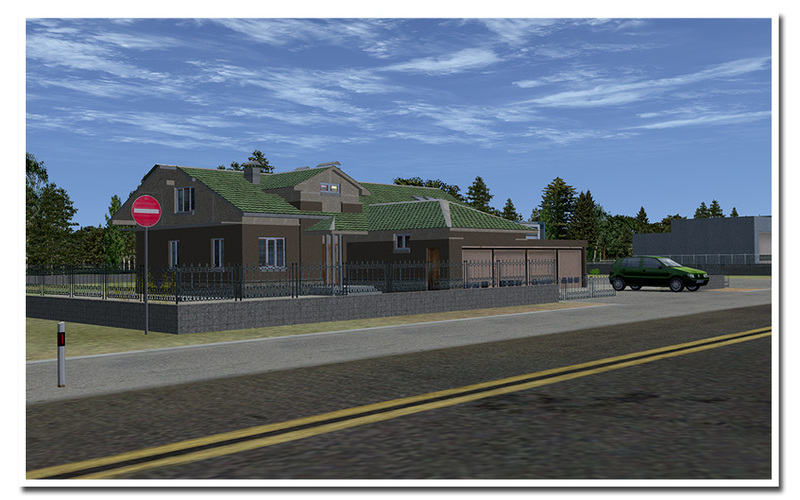 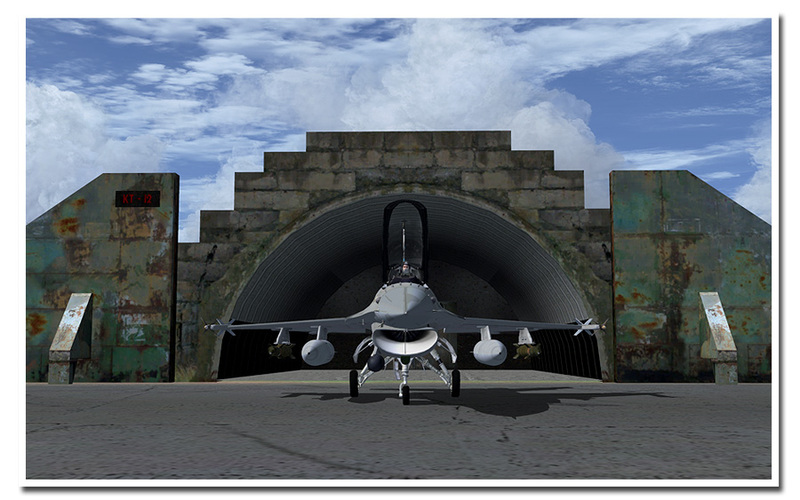 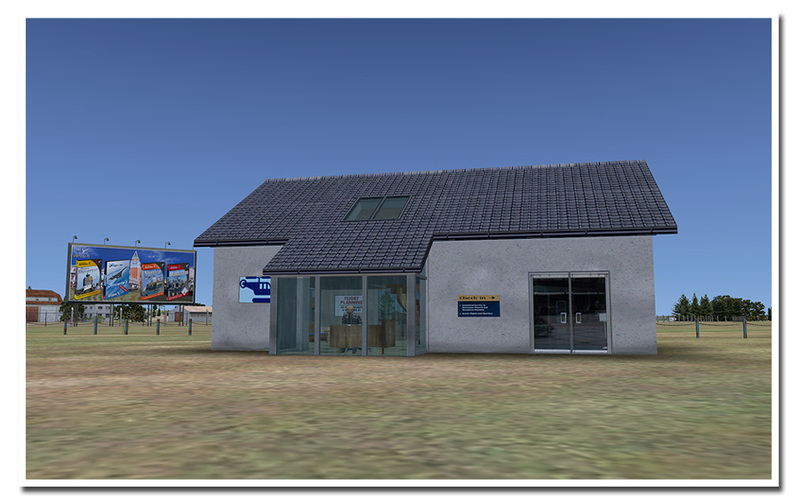 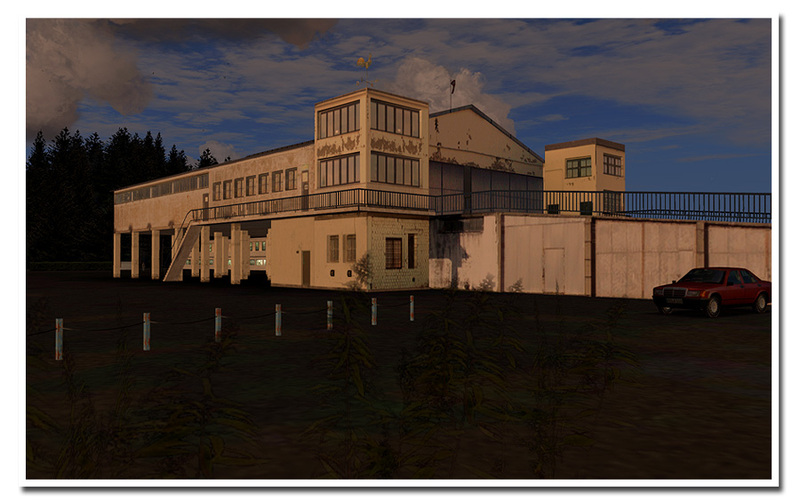 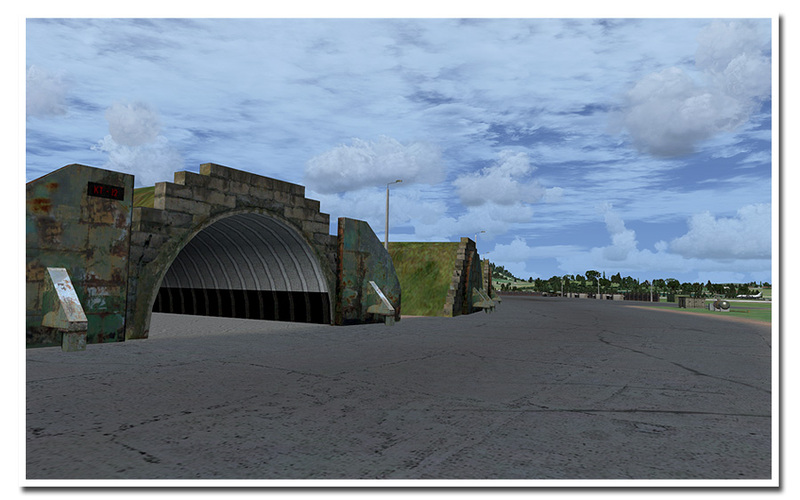 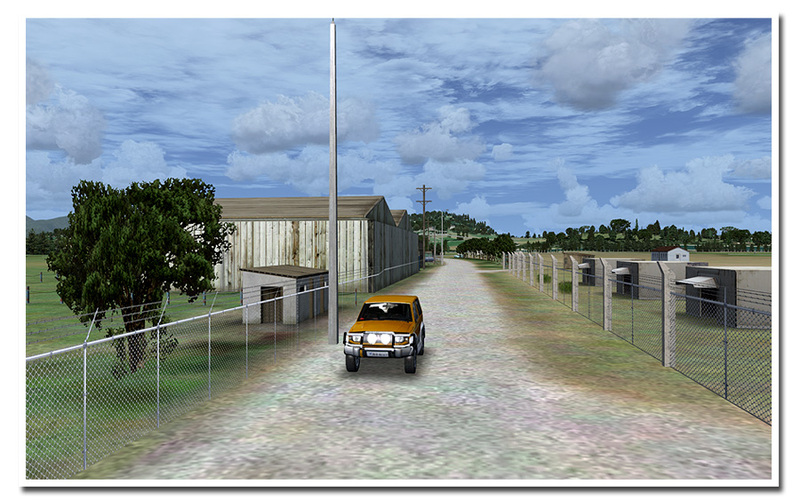 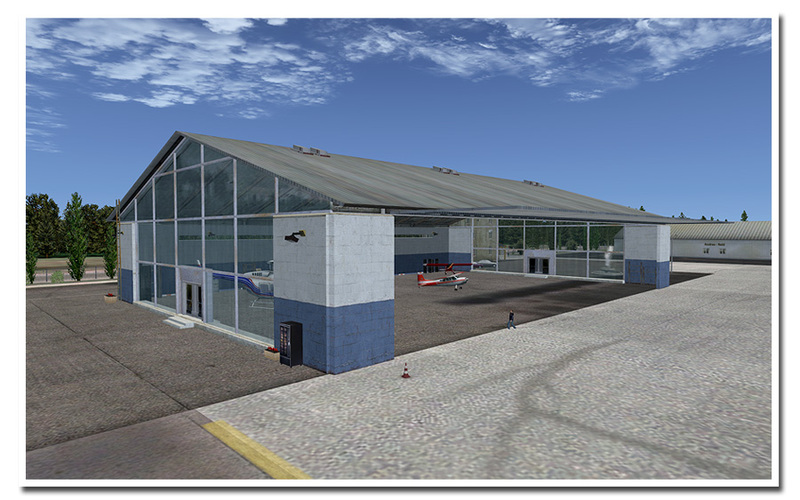 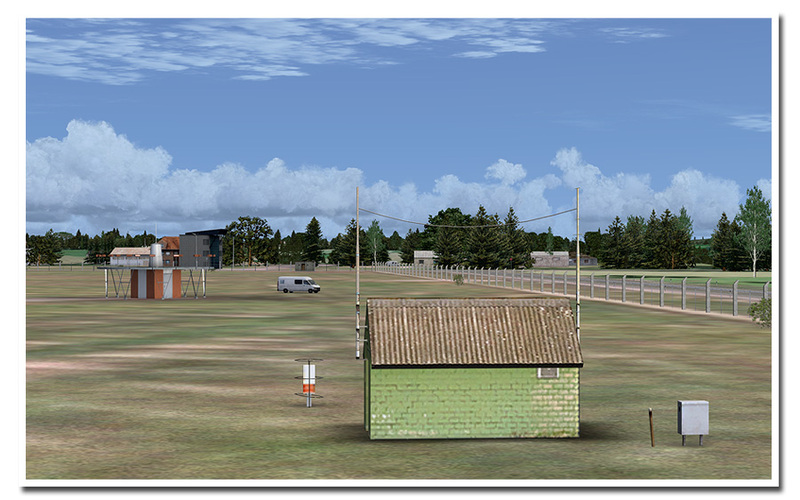 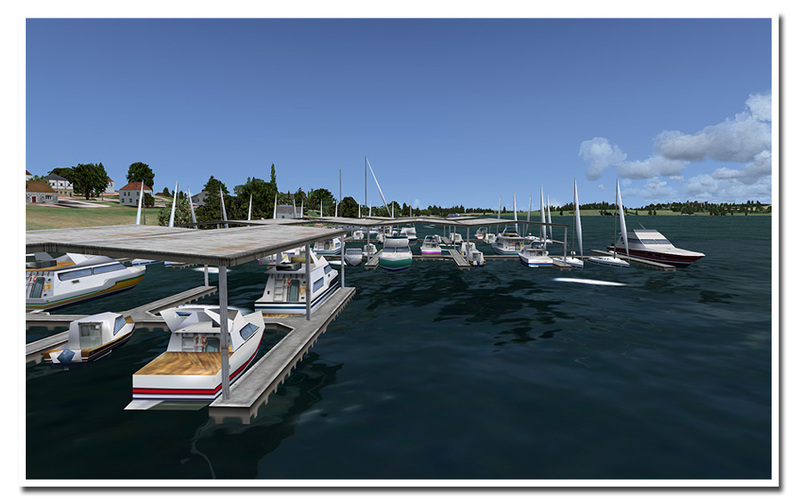 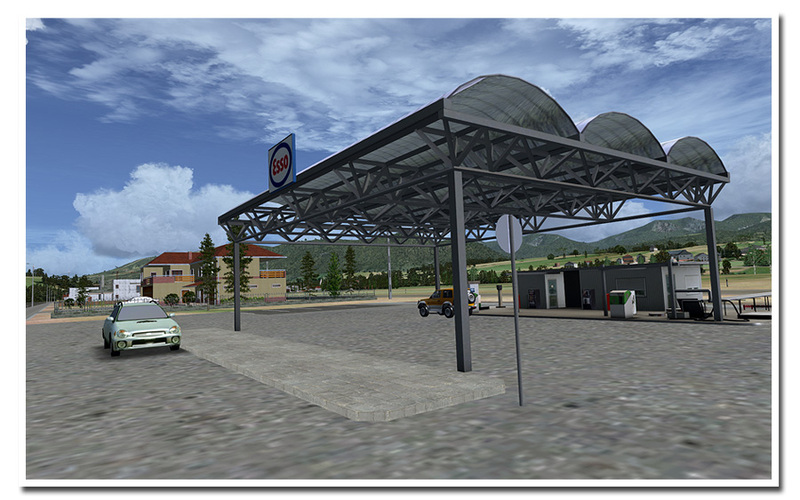 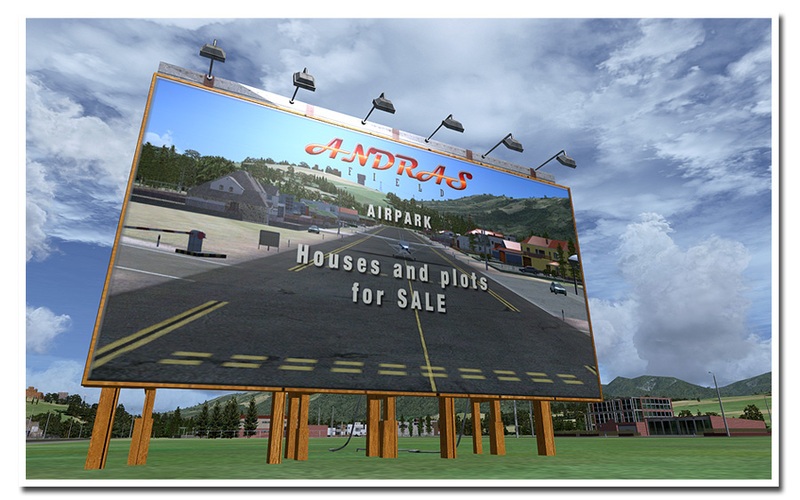 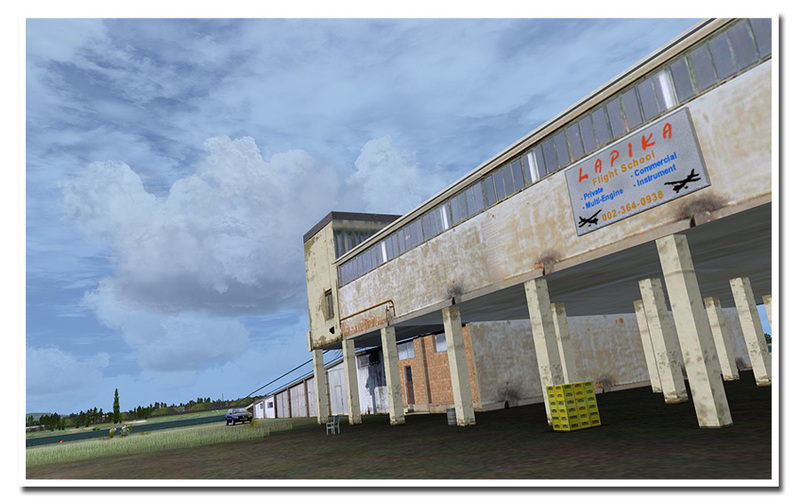 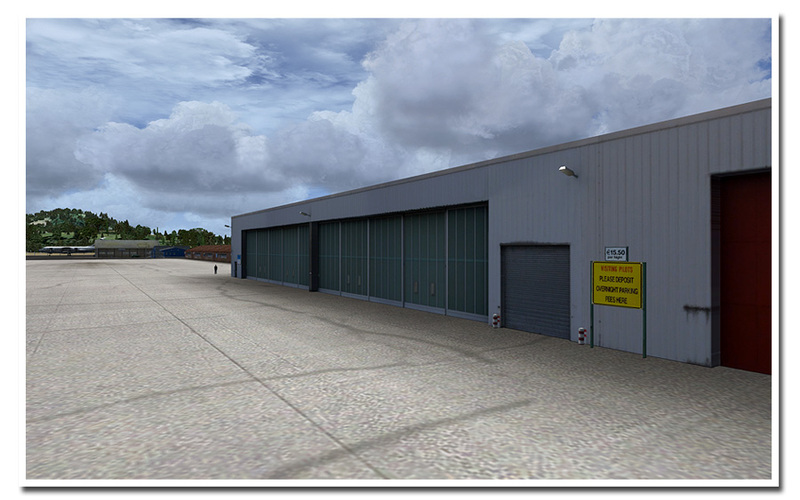 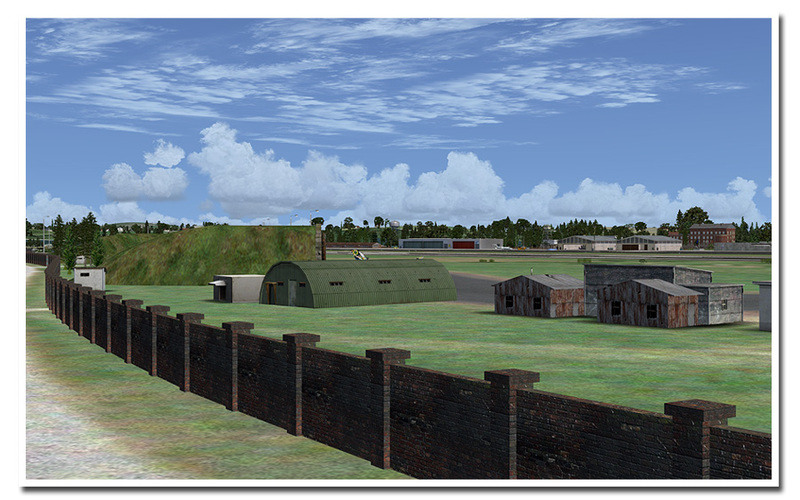 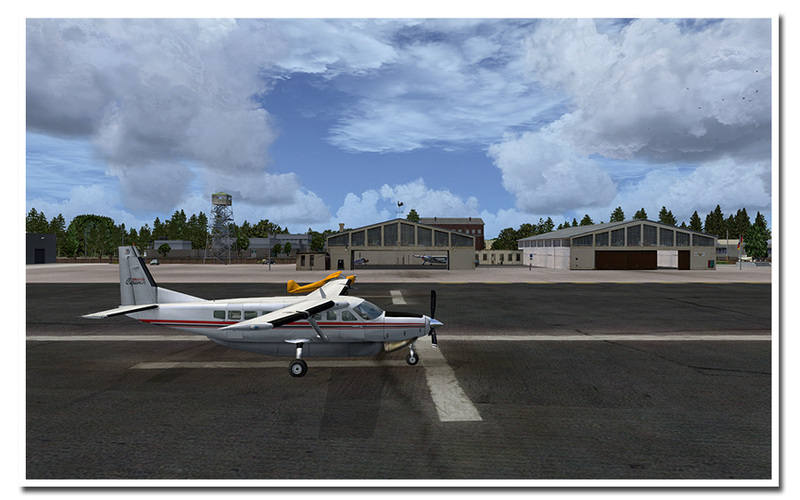 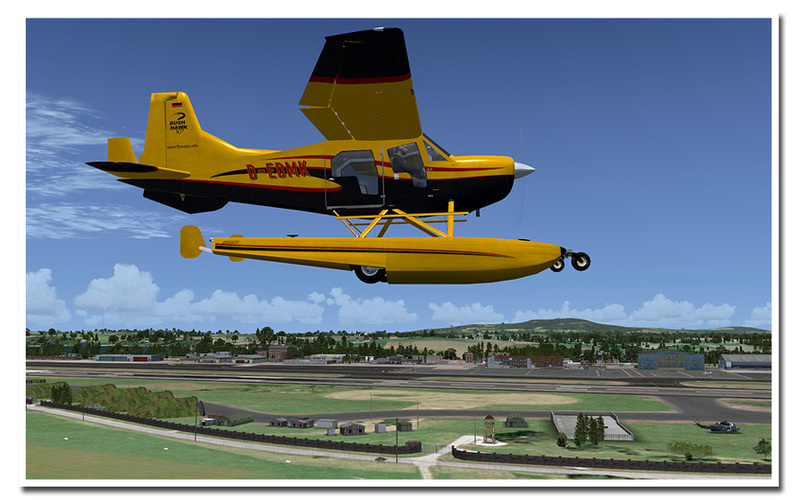 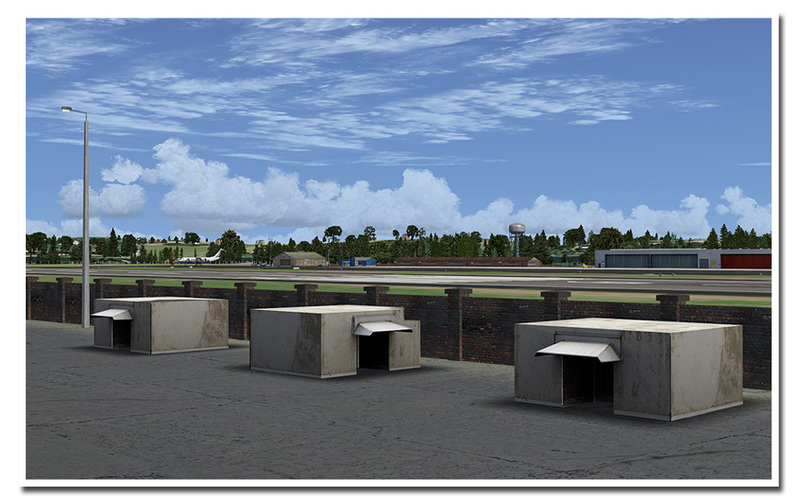 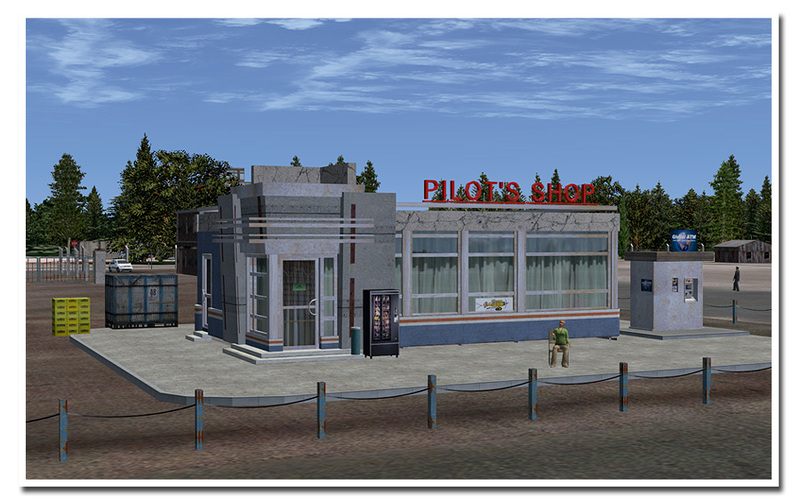 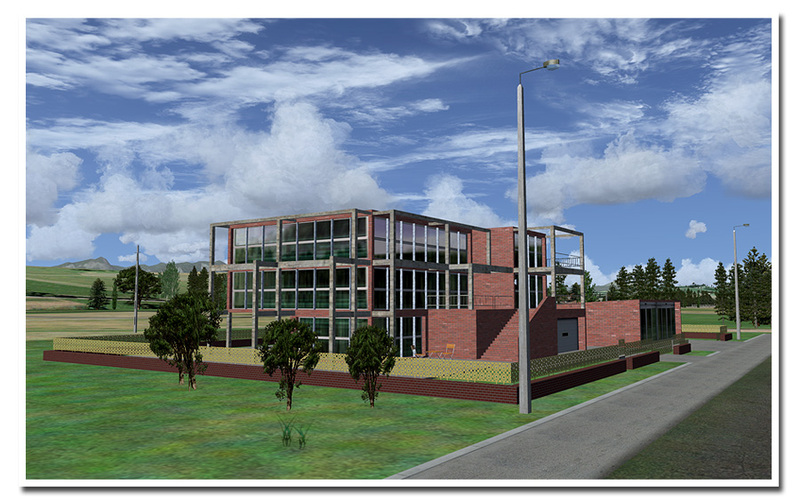 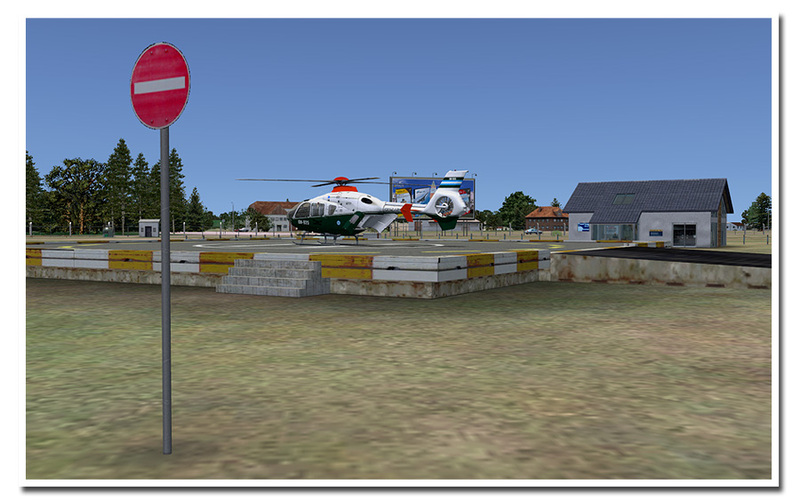 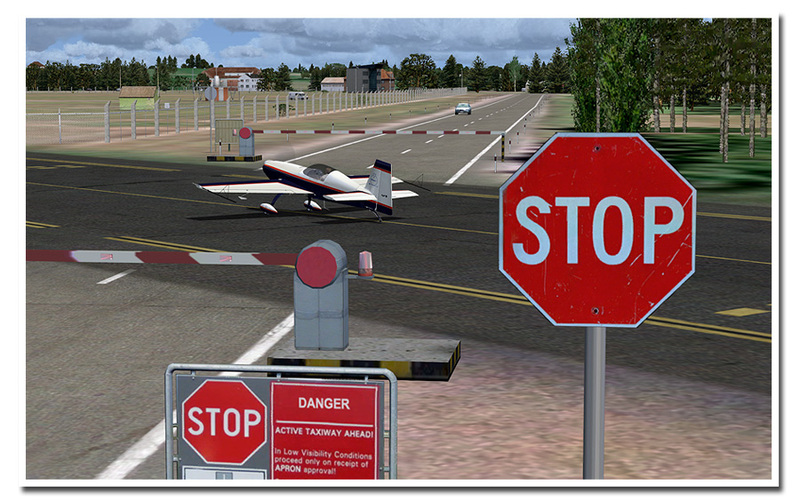 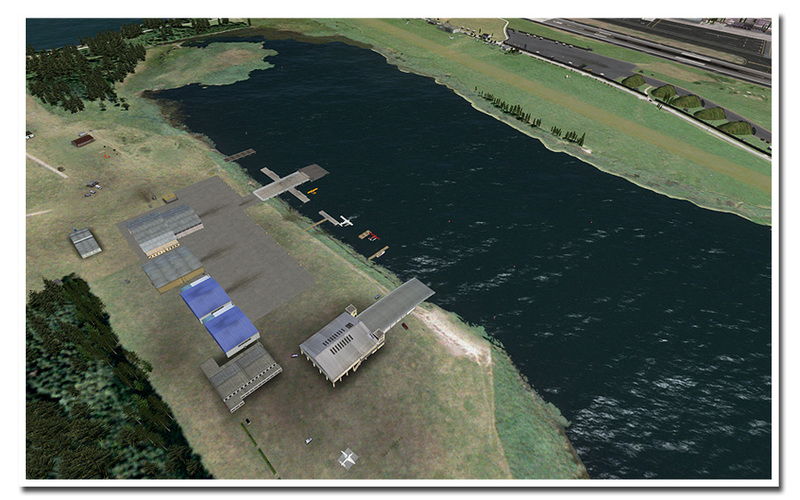 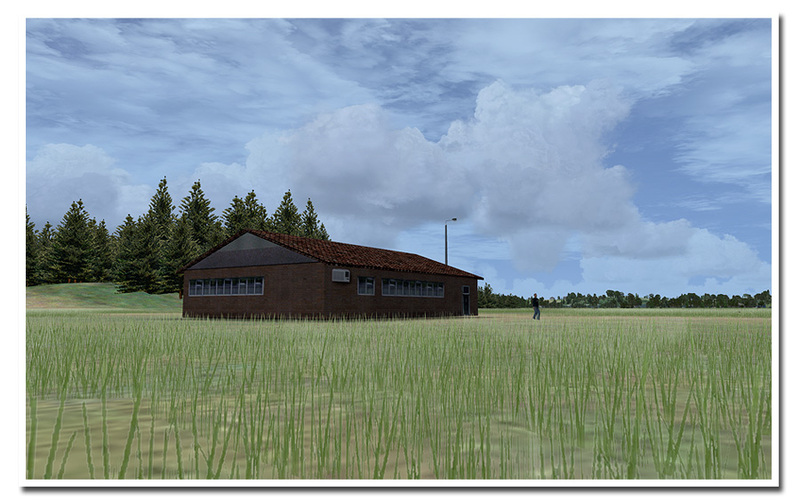 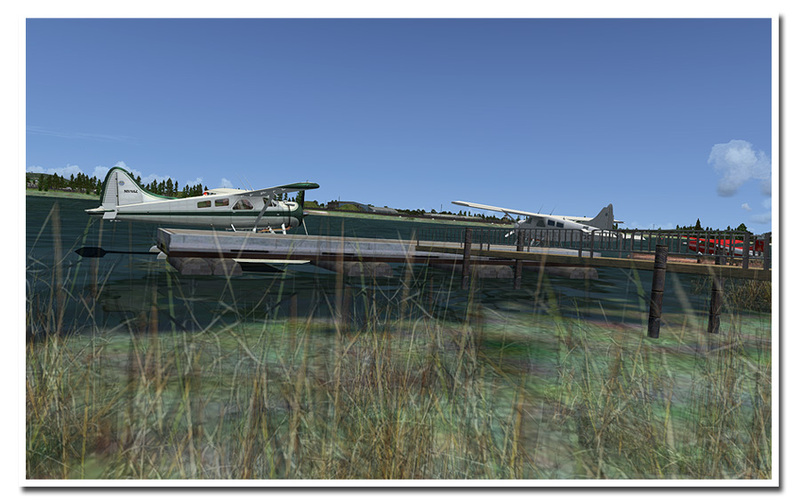 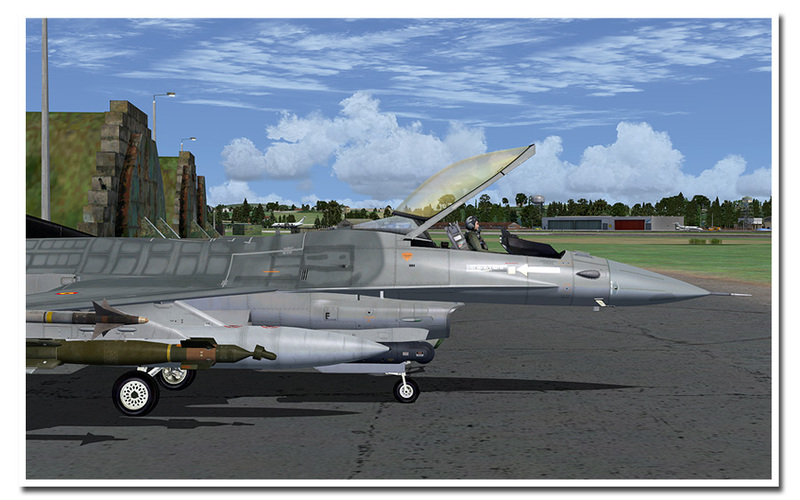 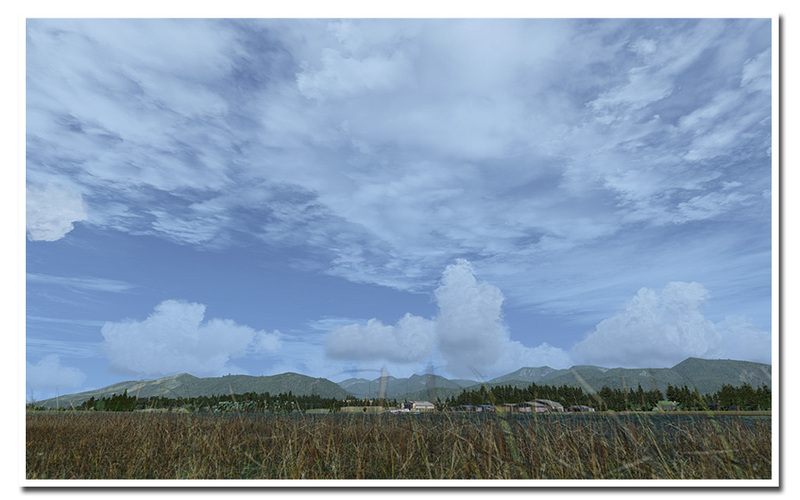 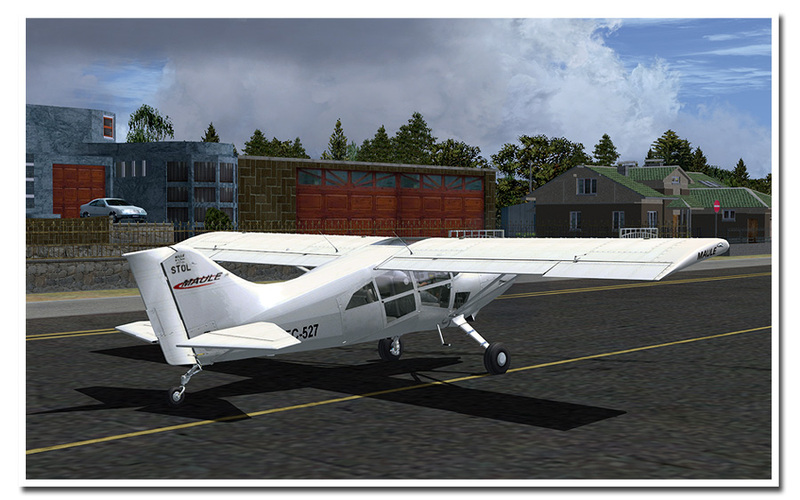 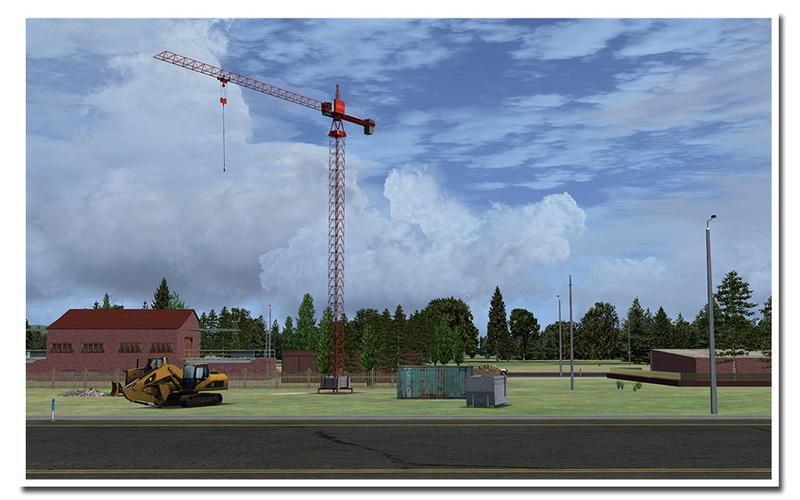 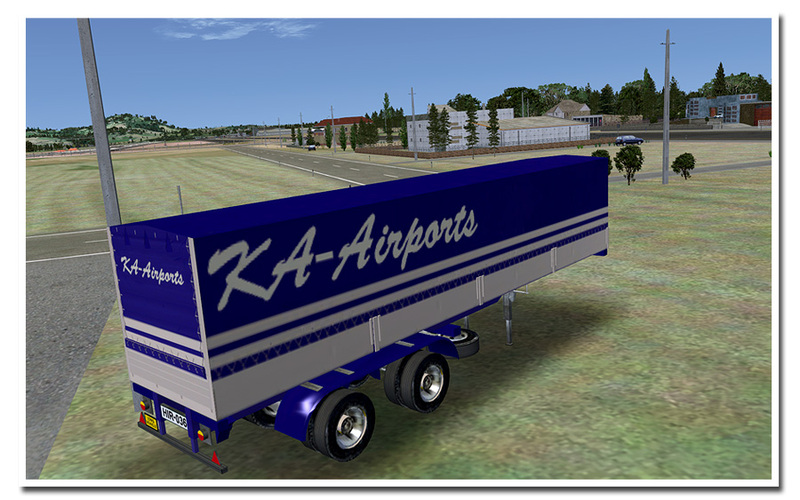 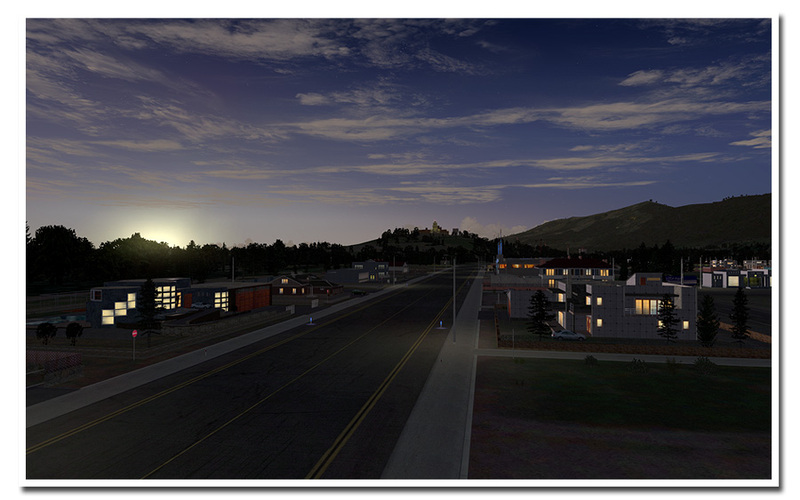 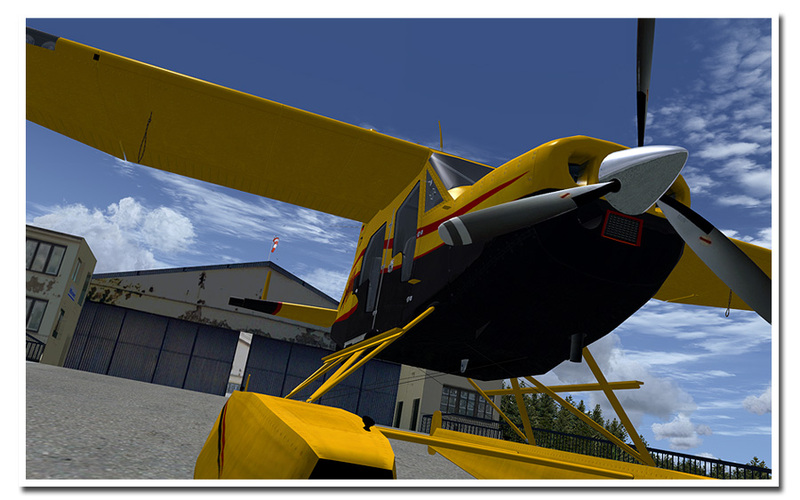 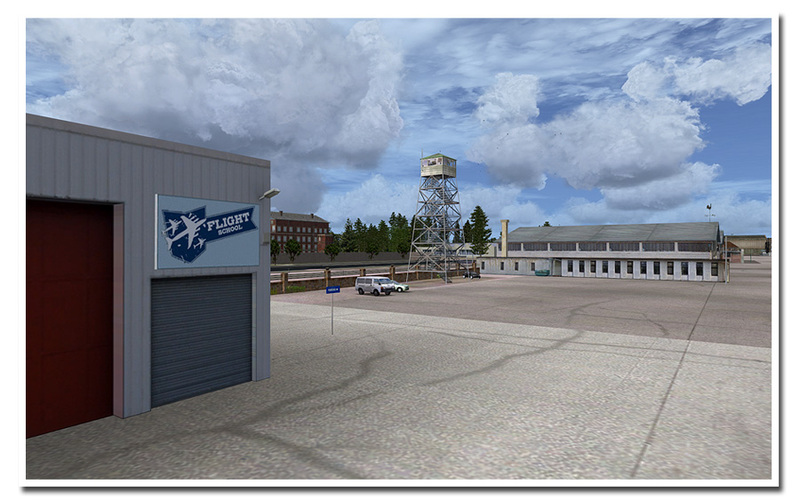 Andras Airpark is nothing more than a part of the scenery, but if you like the idea it is also possible to become a resident at Andras Airpark and own your own bit of land in the virtual FSX world. 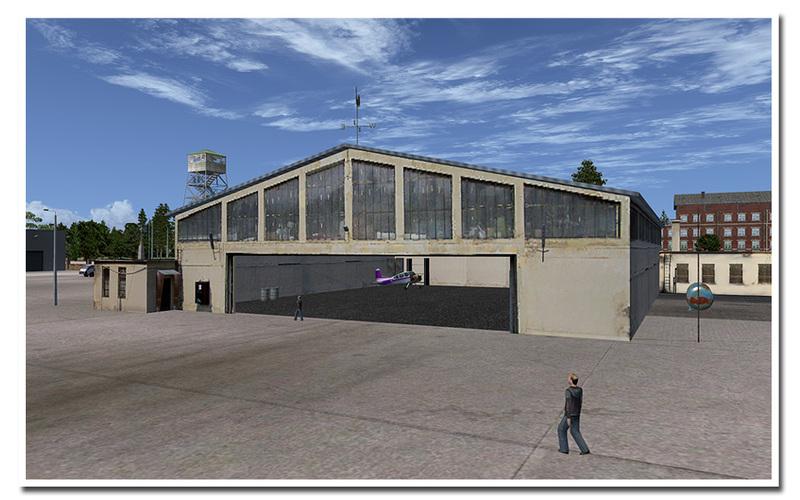 Not only do you get to park your aircraft in your own hangar, you also get to be part of the Andras Field community where the users decide how this project evolves. 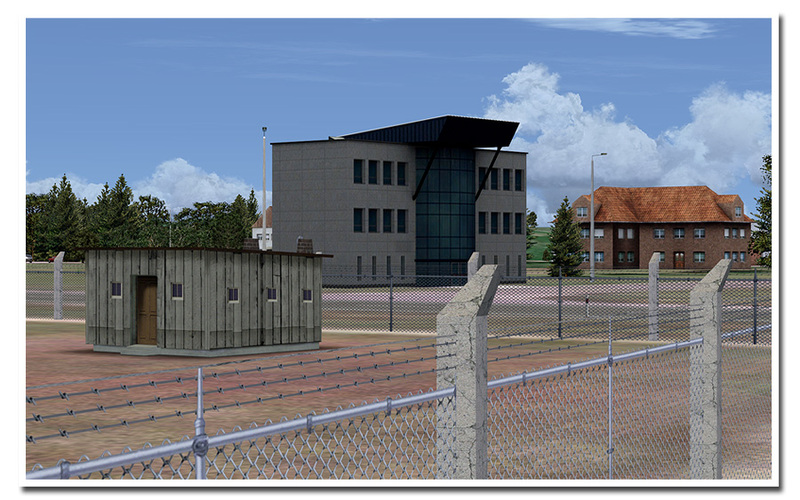 As users build their own houses we’ll be upgrading the scenery files on a regular base so all the users see your house. 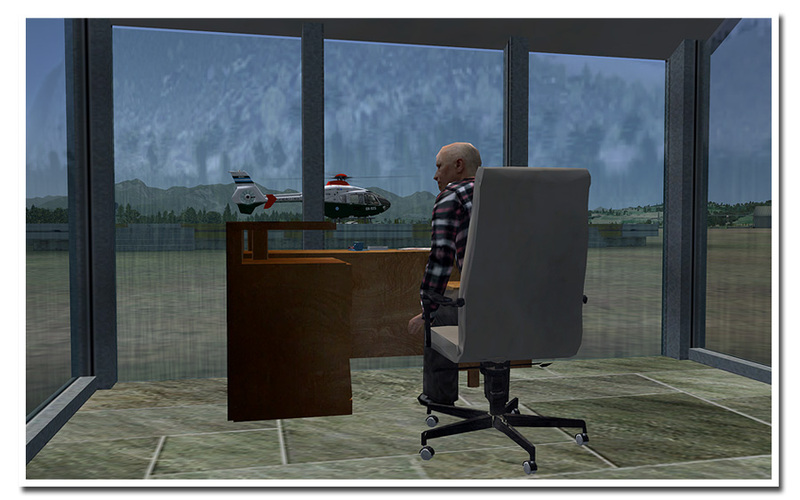 There is a great deal of ‘gameplay’ involved in this. 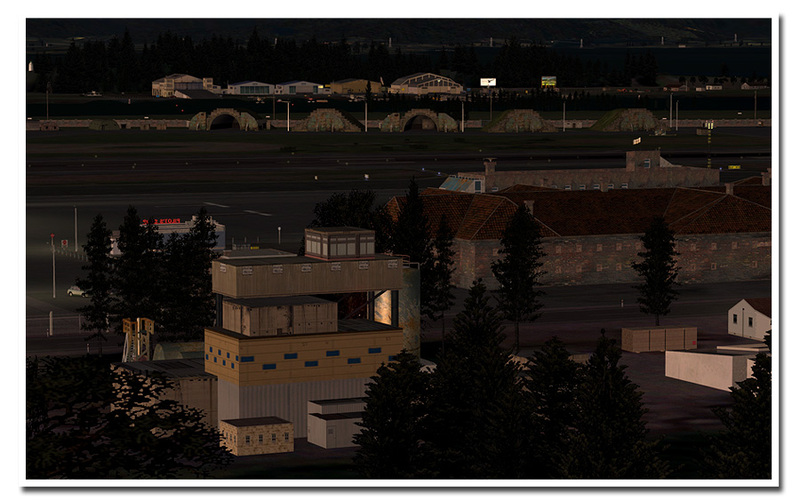 For example if the Andras Field Owners Association decides a new taxiway is needed, they will have to organize alternative taxi routes when work is being done. 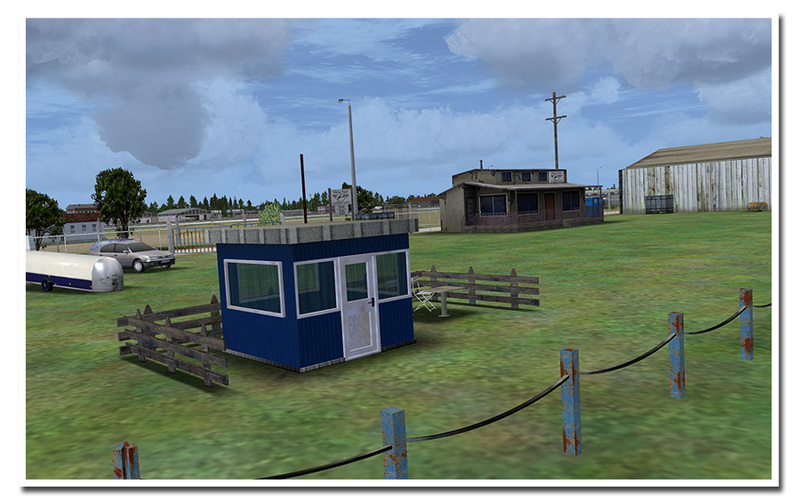 They also got to decide on regulations, are you allowed to taxi on the airpark after sunset or do you need to use one of the electric tractors available? 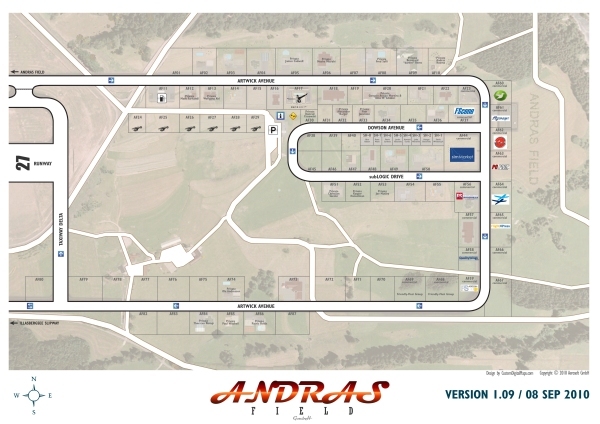 There are now 70 plots but there is an option to add more when demand is high. 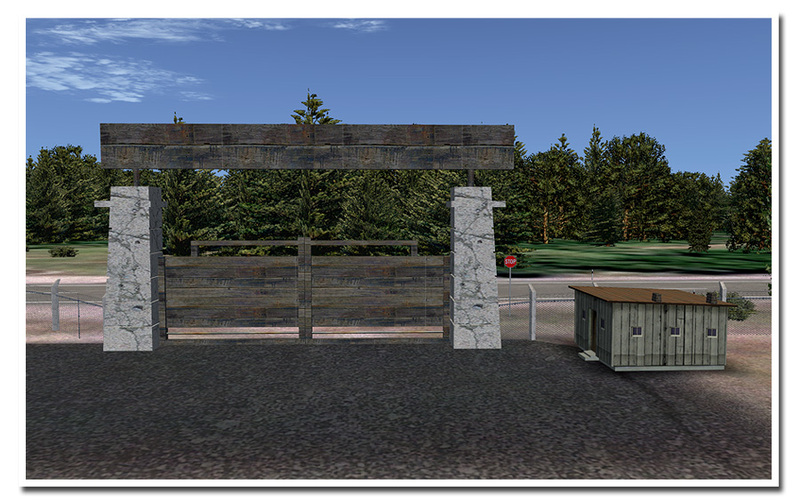 If you like this idea you might consider jumping in early as the biggest decisions will have to be made soon after the release of the products. 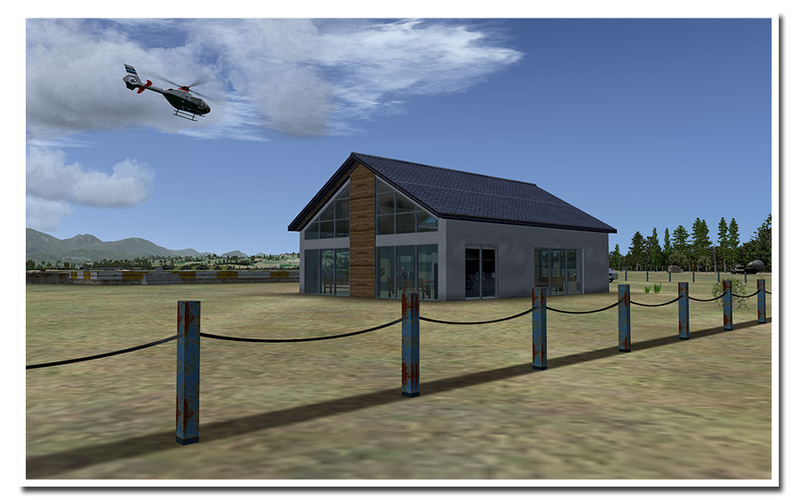 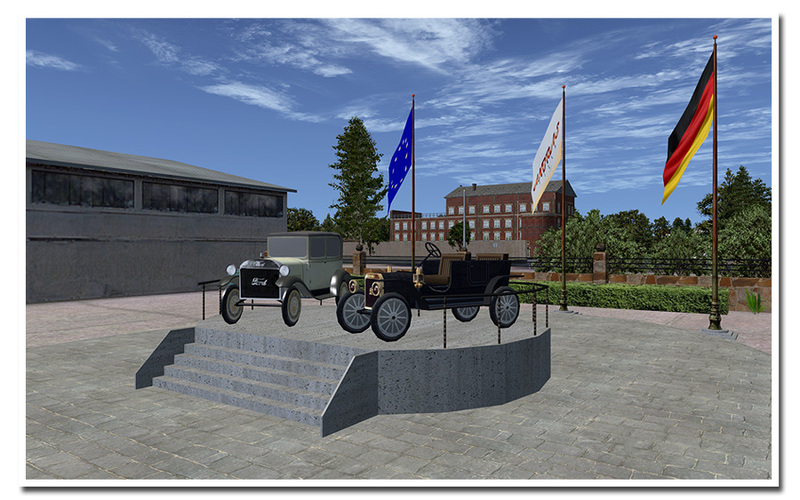 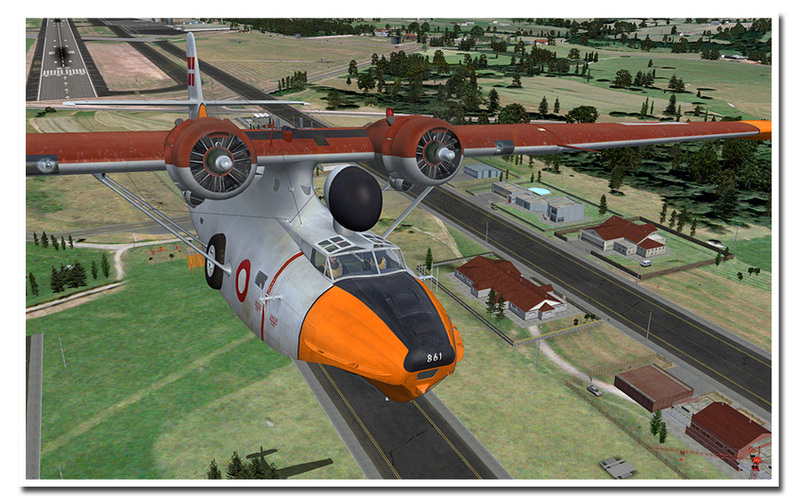 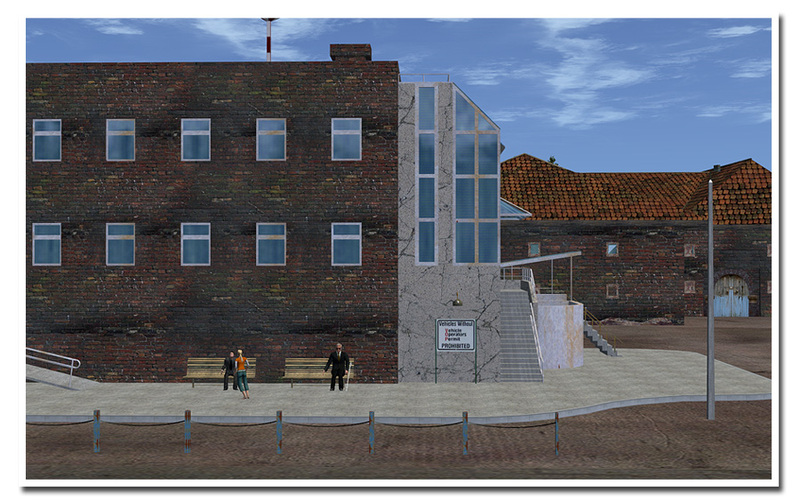 Of course there are forums available and Aerosoft will also support residents with some discounts. 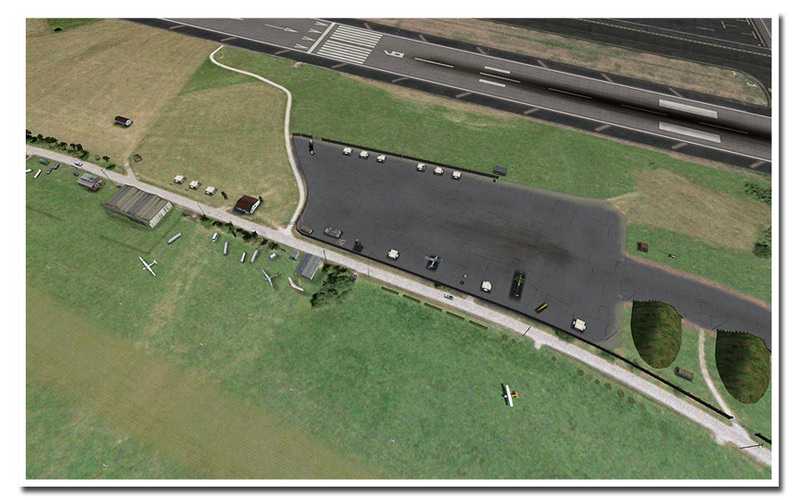 Please note that this whole airpark idea is just an addition to the Andras Field product. 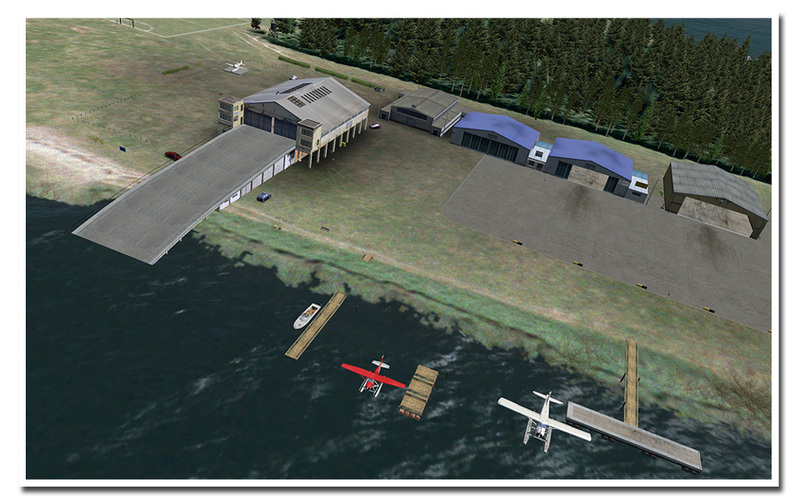 If this is not your cup of tea you just see the airpark change and grow but you do not have to use it in any way. 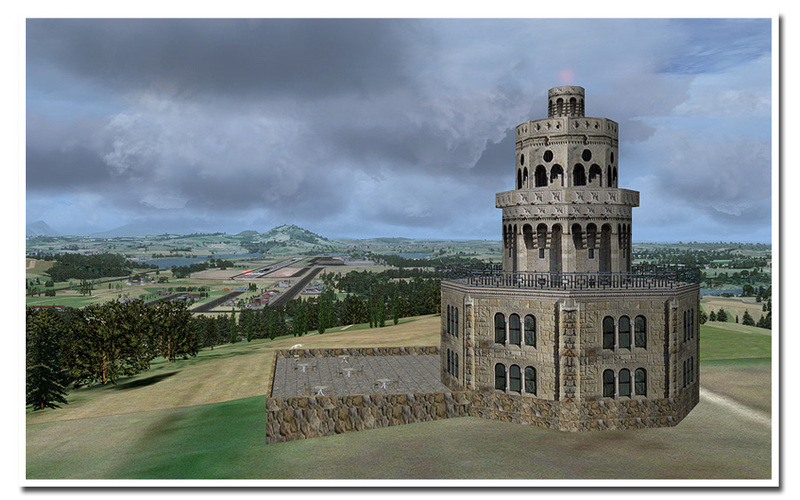 Related links to "Andras Field"